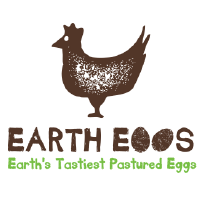 Earth Eggs are not just free range, they are PASTURED free range, so what does pastured mean? 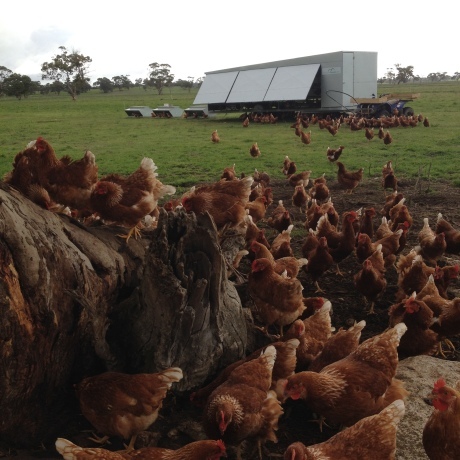 Our interpretation of free range brings images of hens grazing pastures; unfortunately this is one thing intensive caged and free range production systems cannot offer. The best way we can explain our difference is to call our eggs pastured. 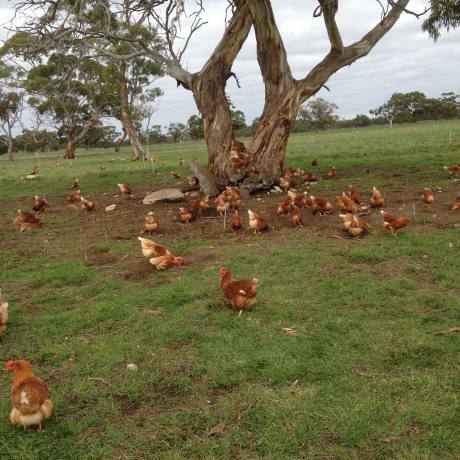 Pastured animals are raised in paddocks and have more than just freedom from confinement……. They get to express their natural instincts like scratching, digging and dust bathing. They also get to select from a fresh smorgasbord of bugs, insects and pastures that they are moved to daily!! Managed well pastured systems are much kinder to the environment. Manure is treated as a valuable asset rather than a waste. By rotating the animals over fresh soils and pastures daily the chicken manure enriches the soil rather than poisoning it. The plants feed the animals and the animals feed the plants. It’s a natural and sustainable cycle. Pastured production does not rely on the use of non-renewable resources to produce food. There is no need for electricity to power exhaust fans, manure conveyor belts, heating or cooling and neither is there need for extra water to clean and flush cages, pens and underfloor effluent systems!! Just one last thing you need to know about hens that are able to graze on pasture. Making pasture available requires good management, low stocking rates, sustainable farming practices and movable housing. 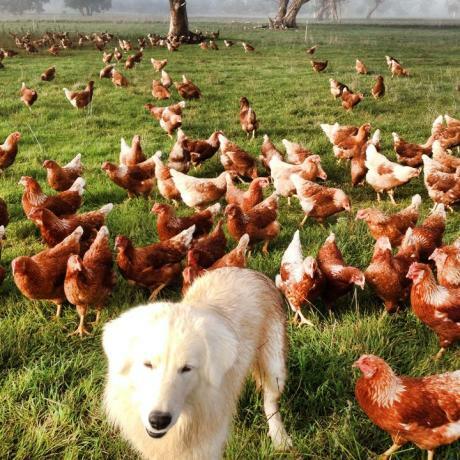 Overcrowded industrial free range production cannot deliver pastured eggs because the massive stocking rates denude the land with the high concentration of hens. 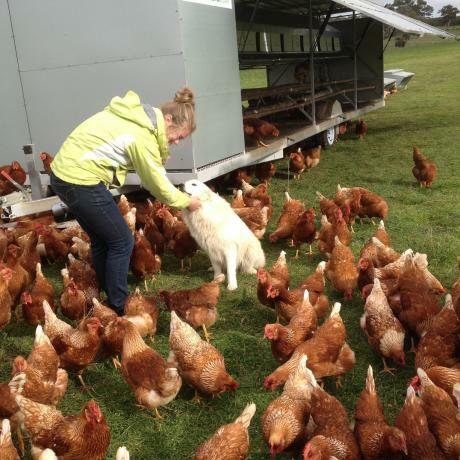 By choosing pastured eggs (or any other pastured produce) you can be assured that your product has been grown with the least amount of human interference possible in a natural, low stress environment!! So, how do you want your eggs??? I’ll have mine pastured please!! !